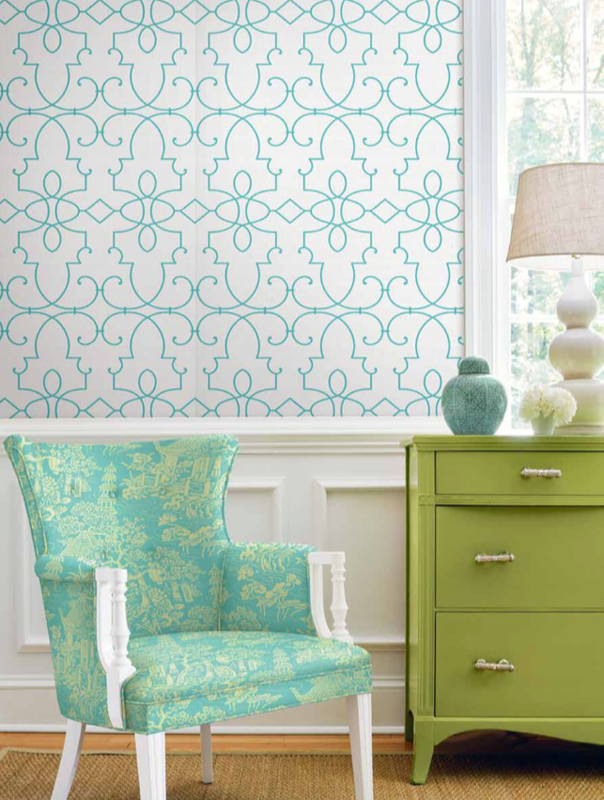 Launching this week is the new CHELSEA LANE COLLECTION designed by Jaima Brown Emmert, a pattern and color specialist in the home & fashion industries. Inspired from the Chelsea Garden show in London, this transitional collection of wallpapers and fabrics transforms and embellishes any interior. A large-scale novelty butterfly pattern “Butterfly Folly” opens the collection with a foundation of sophistication and style. 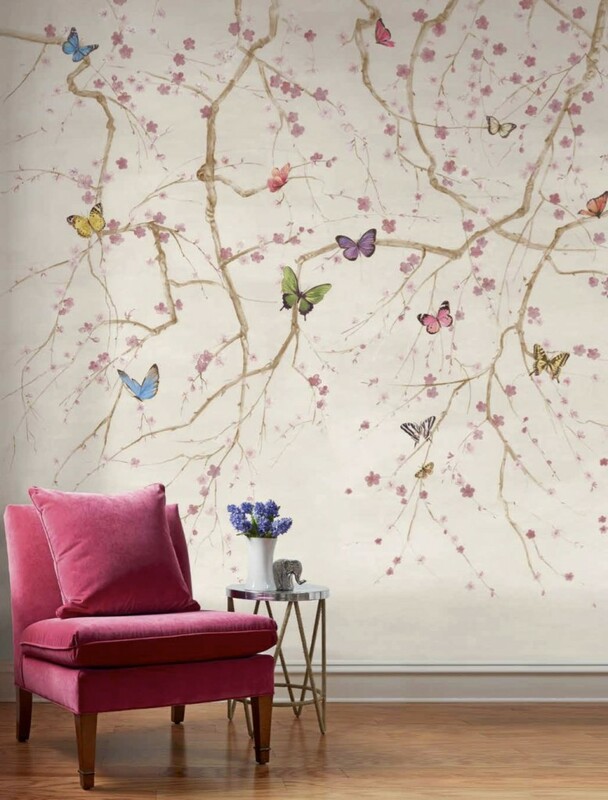 Continuing the theme, butterflies and apple blossoms are reflected in “Flights of Fancy” a stunning watercolor mural. This eclectic collection features a mixture of textural geometric prints, a modern floral, a transitional Chinoiserie toile, a sophisticated glitter infused leopard print, and a lattice print on natural paperweave as seen below. Natural paper weaves come in striking rich colors such as a fuchsia pink, celery green and fresh white. Jaima Brown Home offers a striking pallet of bright and soft muted colors throughout this designer collection. Those in the know will step out of the box and discover their personal style when decorating with CHELSEA LANE. All products sold in wallpaper stores, designer boutiques and designer showrooms. Made in USA.